Animal experimentations have been extensively used in medical researches and products testing since the early 1980s. However, the use of animals for scientific researches and products testing has only concerned with human benefits. How about the animal rights? Does human benefits always make it legal for us to intervene the animal rights? The issue whether it is ethical and necessary to use animals for sciences and products testing has been vigorously debated for a period of time. While Animal Rights Activist perceived vivisections has ethically intruded animal rights, Laboratory Animal Research of the United States National Academy of Sciences believed animal researches is essential in many areas. Europeans for Medical Progress which also opposing this issue reveals animal experimentations as inefficient and unreliable. This essay will outline and examine their views in order to come up with the writer’s own stand over dilemma of animal experimentations. Laboratory Animal Research of the U.S. National Academy of Sciences argues that there are needs for animal researches to be continued to protect humans from diseases and dangerous products. They were saying that modern technologies such as sophisticated computers are still scarce to represent the interactions between molecules, cells, tissues, organs and organisms like vivisection does. Researchers claimed the experimentations were carried out based on ethical procedures outlined by law and thus deny the issue of cruelty and animals’ abuse involved during the researches. They also declare that most research does not involve pain and if so, the pain is alleviated with analgesic or anesthetic drugs. Scientists also argue about the similarities of animals and humans biology which has allowed them to develop new drugs, vaccines and help them to learn more about our bodies and how its function. According to American Association for Laboratory Animal Science, the data gathered are not only useful in understanding humans, its does also helpful in understanding our pets, wildlife and other animals too (Use of Animals in Biomedical Research: Understanding the Issues. n.d. p1). Even though this issue has been vigorously debated for a long time, the solution to stop it seems still too far and complex. As the perception on ethics, animal rights, and animals’ welfare develops over the years, animals continues being used in research but perhaps conducted within scientific, humanely appropriate, and ethical principles. This improvement was evolved as a result from the introductions of Guide for the Care and Use of Laboratory Animals by the National Research Council (NRC) of the United States. This guide that concerned with animal rights provides the institutions with brief outlines to carry out the research within scientific, humane, and ethical principles. As an example, the introduction of three Rs method – replacement, refinement, and reduction – were designed as the core guideline towards humanely animal research studies (National Research Council, 2010). In the 1950s, researches which involved separating infant monkeys from their mothers at birth has been carried out as a means to examine on maternal deprivation. However, most psychologists have strongly criticized this action because it is ethically wrong to experiment human psychological problems that concern familial, social and cultural factors onto nonhuman models. As there are evidences that proved animals also experienced the same range of emotions as humans, psychological animal experiments that cause to animals suffering can be considered as inhumane. Meanwhile, Animal Rights Activists believed animals deserves their right to be treated as humans. This includes the right to be protected from any form of soreness. In other words, animals should be regarded as humans being rather than property. Switzerland and German has taken some steps in correspond to this issue. In 1992, Switzerland has perceived animals as being instead of things or property (Kayasse, E, S, n.d), while German added animals’ protection under the constitution in 2002. While Animal Rights Activists opposed animal experimentations with concern about animal rights, Europeans for Medical Progress has its own stand to disapprove the use of animals in scientific researches. As the technologies develop, there are increasing numbers of clinicians and scientists started to argue on the reliability of using animals in medicals and scientific researches. The survey conducted on 2004 has demonstrated the evidences that vivisection is inefficient and unreliable. Advancement in technologies nowadays has made dependency on animals for research can be considered as impractical anymore. Moreover, newly developed methodologies that is economical has provides compelling results compared to animal studies. Mice have been used greatly in the laboratory as the most reliable creatures to do the research on. However, it was reported in the Lab Animal magazine that mice is actually a poor models in understanding the mechanism of infection and a means of treatments for common human cancers. It was proven that the differences between humans and other animals in crucial genetic, molecular, immunologic and cellular has unlikely provide effective result in seeking for the cancer treatments. Moreover, the effective treatment tested on animals has at worst reflected poor efficacy and excessive side effects when it is applied to humans. Since 1987, U.S. National Institute of Allergy and Infectious Diseases have funded more than 100 HIV vaccine clinical trials in humans. Even though more than 50 preventive vaccines and 30 therapeutic vaccines have reflected positive results against HIV/AIDS in animals, the clinical trials has failed to react in humans. The similarities between humans and animals biology has enable the scientists to explore about diseases and formulate treatment for human needs. Nonetheless, this statement is not applicable anymore since there is increasing research results which demonstrated animal experimentations failed to prove its reliability in seeking for the cure. Even though the limitation of vivisection was proven, for some reasons this method of research keep continues. One of the most reliable organizations in the field has revealed the reasons why animal experimentations persist until now. 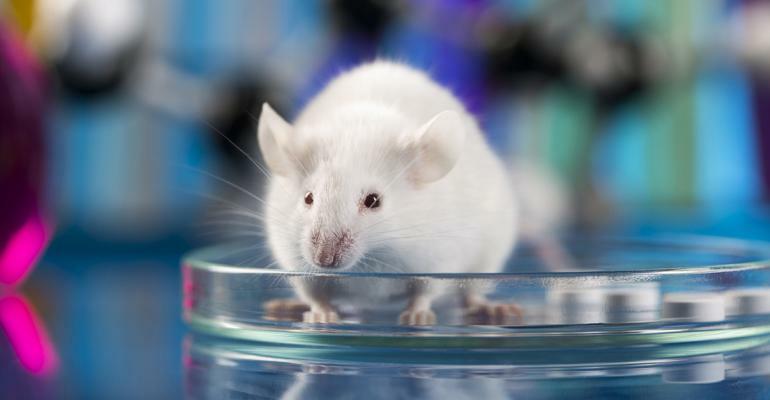 According to the Medical Research Modernization Committee, animal testing is very important especially in chemical and pharmaceutical industries for their own benefits (Anderegg, C. et al. 2006, p19). It functions as legal sanctuary for the companies in cases of customers’ loss and disability caused by chemical used in the products. As the products were legally prescribed tested on animals, the victims have no right to prosecute against the company. Moreover, animal testing is retaining until these days for some motives that serve the researchers’ economic, professional and political needs. Clinical research that related to humans usually involve lots of expenses and time-consuming, otherwise vivisections can easily get publish within short period of time. Massive development in technology and medical modern innovation at the moment has enabled the creation of alternatives which able to substitute the usage of animals in scientific research. Epidemiological is the most reliable and effective studies in identifying the underlying causes of human diseases based on human population records (Anderegg, C. et al. 2006, p15). The best way to study human diseases is none other but to closely monitoring human patients. Humane Society of the United States reveals that every year more than twenty-five million animals has been used for research, testing, and education purposes. Apart from saving thousands of animals’ life, epidemiological studies are more consistent to clarify the mechanisms, effective prevention and treatment approaches. It is not necessary to examine animals to find out the causes of some diseases. As alternatives, the innovation of modern noninvasive imaging devices such as CAT, MRI, PET and SPECT scans have revolutionized clinical investigation and thus reduce the dependency on animals for medical research (Anderegg, C. et al. 2006, p16). In addition, sophisticated computer modeling has also replaced animal experiments which normally take months or years for the results that were just within minutes and hours now. Plus, artificial skin or “Episkin” invented by L’Oreal research team perhaps may gives some hopes to thousands of various animals from undergo lab trials (Episkin: Growing Skin in the Lab. 2007). To sum up, even though Laboratory Animal Research of the U.S. National Academy of Sciences continues to experiment on animals within ethical procedures for the sake to seek treatment and protect humans from harmful product, animal experimentations should not be kept ongoing. Both arguments from Animal Rights Activist and Europeans for Medical Progress are irrefutable and concrete to rebut the Laboratory Animal Research of the U.S. National Academy of Sciences claims. Plus, strong supports from Medical Research Modernization Committee have provides undeniable facts regarding vivisections in reality. Without any hesitation, the writer believed that animal researches should be ended since newly develop technologies will overwhelm the limitation of animal experimentations which has now obviously considered as unreasonable anymore.